The Orange San Francisco 2 was rumored to be on the cards earlier this month but now the network provider has confirmed its impending release, which is good news for fans of low cost, high powered Android smartphones. Despite the San Francisco 2 retaining the budget price tag of its predecessor, it will actually be getting a number of hardware upgrades to make sure that it is a worthy replacement. An 800MHz processor is set to be onboard, giving you a speed boost of 200MHz when compared to the First Orange San Francisco, also known as the ZTE Blade in its SIM free iteration. The digital camera has been upgraded to five megapixels and there is even an intelligent signal boosting technology which allows the phone to utilize your Wi-Fi connection in order to get better reception when you are indoors, which is a nice touch. Preinstalled on the Orange San Francisco 2 is Android 2.3, so users will be able to head to the Android Market and download a wide array of applications without being restricted by their software version. It is unlikely that this handset will be updated to run Android 4.0 due to the limitations of its hardware, but this should not be a concern for users who are on a tight budget. 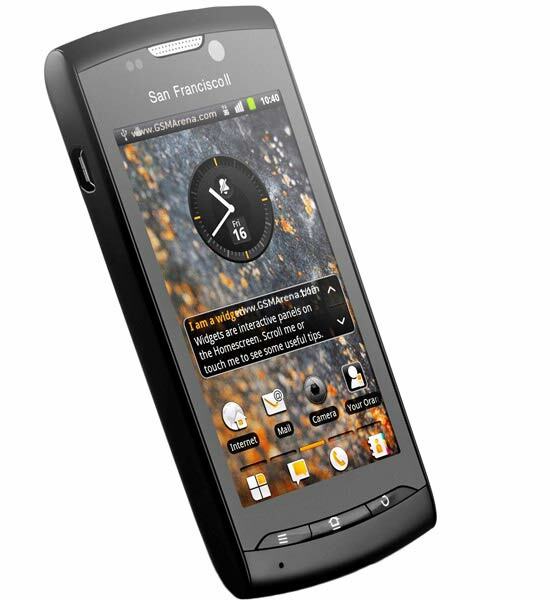 One of the best features of the original San Francisco was its 3.5 inch capacitive touch screen display. This is because prior to its launch most entry level smartphones had relied on cheaper, smaller resistive screens. The San Francisco 2 has an identical 3.5 inch display with a resolution of 800x480 and while it may not be as bright or vibrant as the screens on range-topping Android handsets it is still an excellent inclusion for the price. The scalability and flexibility of Android is demonstrated by handsets like the Orange San Francisco 2. It shows that you do not have to spend large amounts of cash to get the full smartphone experience and enables pay as you go customers who are not in need of a fixed term contract to download apps, surf the web and take high quality pictures with the freedom to pay only for what they use. Another budget Android phone from Orange and ZTE called the Monte Carlo arrived recently, retaining the same Android build but using a larger 4.3 inch display to differentiate itself from the San Francisco 2. This is an equally worthy choice for mobile fans who want to cut down on their monthly costs, although its higher price and larger size may make the San Francisco 2 a better choice.